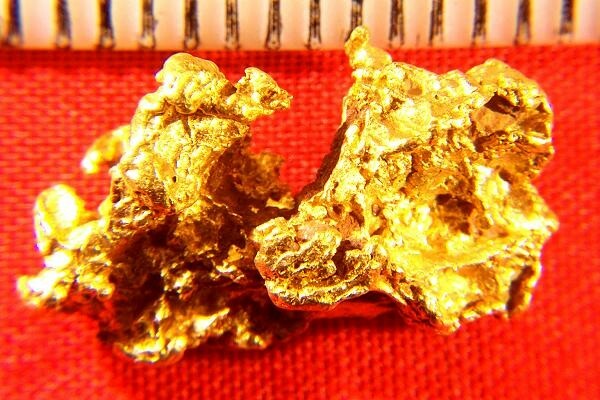 This gorgeous Australian Gold Nugget feels chubby, and yet has numerous delicate nooks and crannies. It has a nice solid weight of 5.9 Grams (91 grains), and the size is 3/4" (21 mm) long. 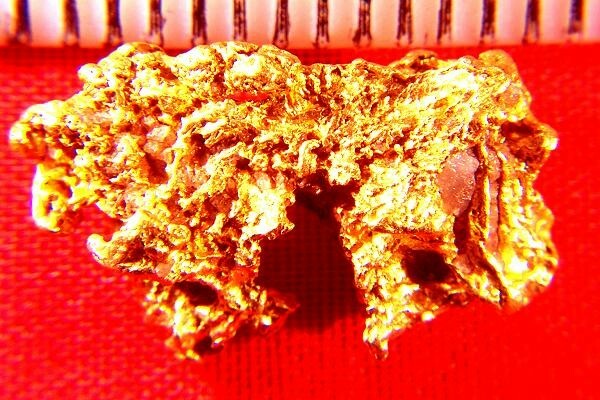 This super nice Australian Gold Nugget would add a real nice touch of beauty to your gold collection, or mounted in a jewelry setting.